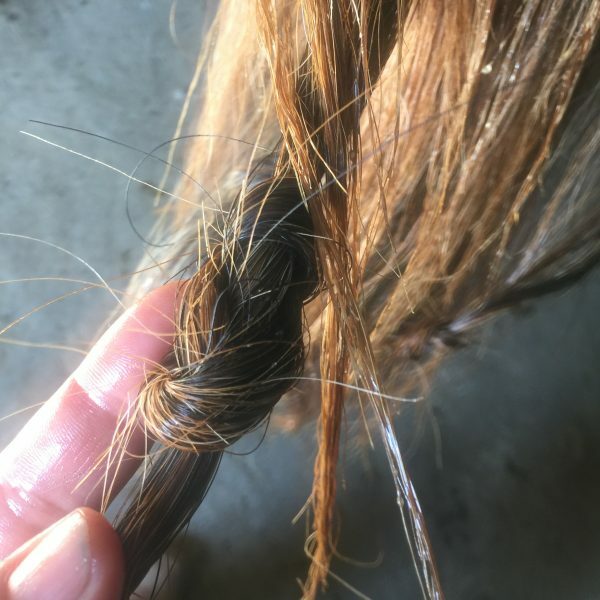 I was brushing our horses’ tails out after riding, getting pickers and brambles out, and I asked my husband Boe if I could braid his horse’s tail. Happy’s tail is a little flimsy, not too thick. 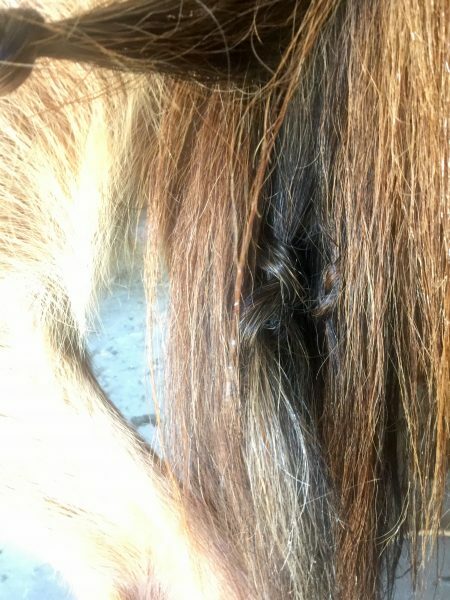 I know Boe isn’t crazy about braids, but they really do make a horse’s tail longer and stronger. Horses get to whipping and popping that tail, not a very desirable trait for most. He told me he’d rather I put figure 8 knots in his horse’s tail instead. Oh! I’d forgotten about those! 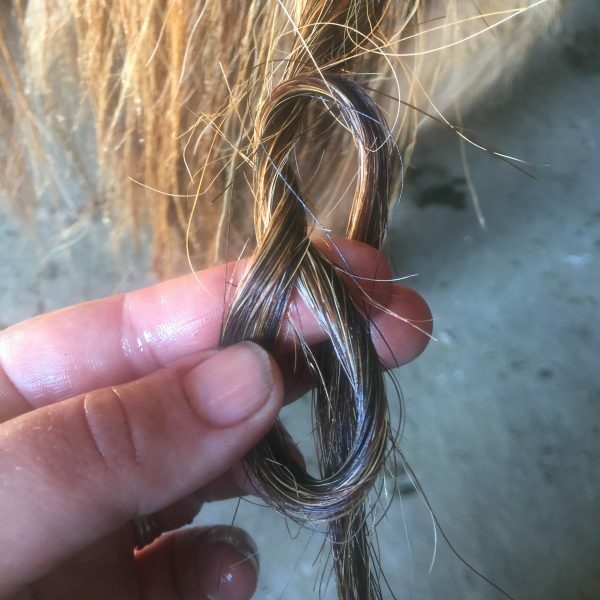 They’re a neat little trick that can build some length and fullness to your horse’s tail over time, and, in the meantime, shortens it when the knots are in, preventing it from hooking so much sage and other brush. 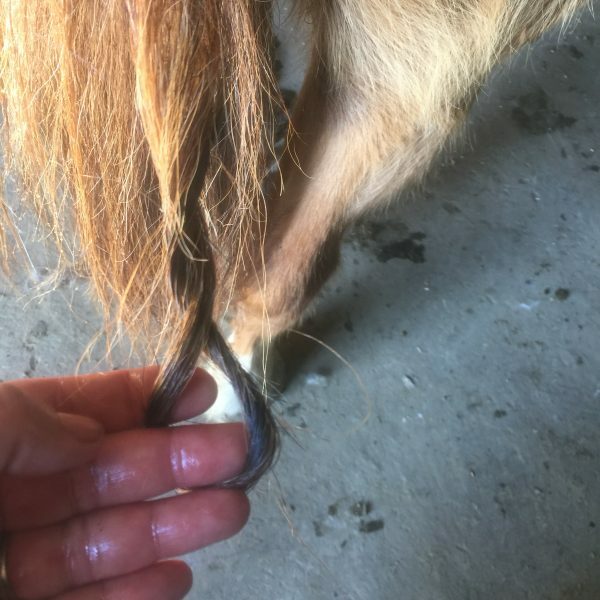 It also allows a horse to swish his tail naturally and not whip it like they might with a braid. It’s essentially the same knot as Jolyn Young’s Rooster Tail Knot, but in an itty bitty version and we add an extra twist. They hide fairly well within a tail if you don’t knot the outside edges of the tail. 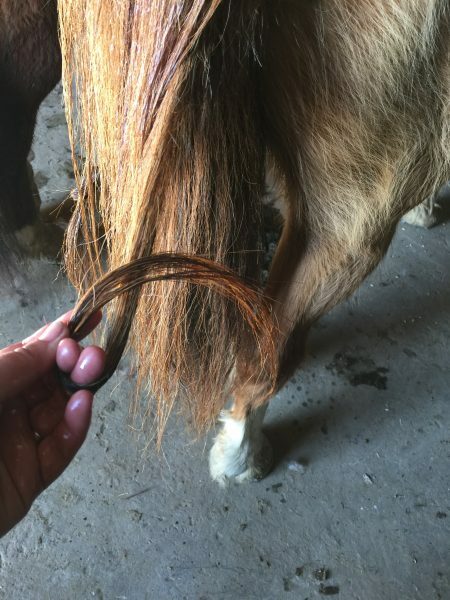 Be sure it’s brushed out and free of knots, tangles, and debris, without using too much product, which can make the tail too slippery. Pull a small strand of hair away from the rest of the tail and loop the tail over the top as shown below. Flip one more twist into the loop by turning your wrist to the left. Pull the little tail through your loop. Pull snug and done! Add some more knots through the middle of the tail to offer protection. If you don’t tie the outer edges of the tail, the knots hide fairly well in the body of the tail. Leave the knots in for a month or so for added length and fullness. 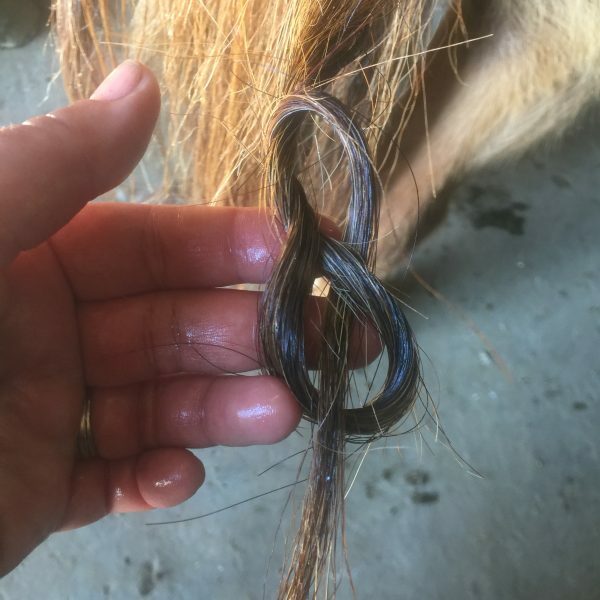 If the knots start to look messy or are full of debris, saturate the tail and knots with a product like Cowboy Magic, Show Sheen or coconut or baby oil, then carefully untie and untangle the knots. If they aren’t full of debris, they untie nicely, but leave a kink in the tail for a day.